Aromatherapy Bracelet. Lava stone with a choice of natural gemstones. Complete with Essential Oils. 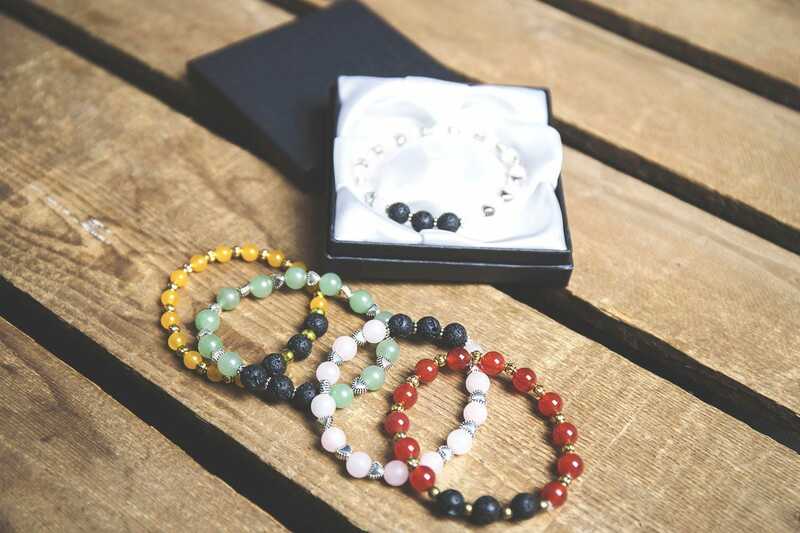 These bracelets incorporate 3 lava stones each. 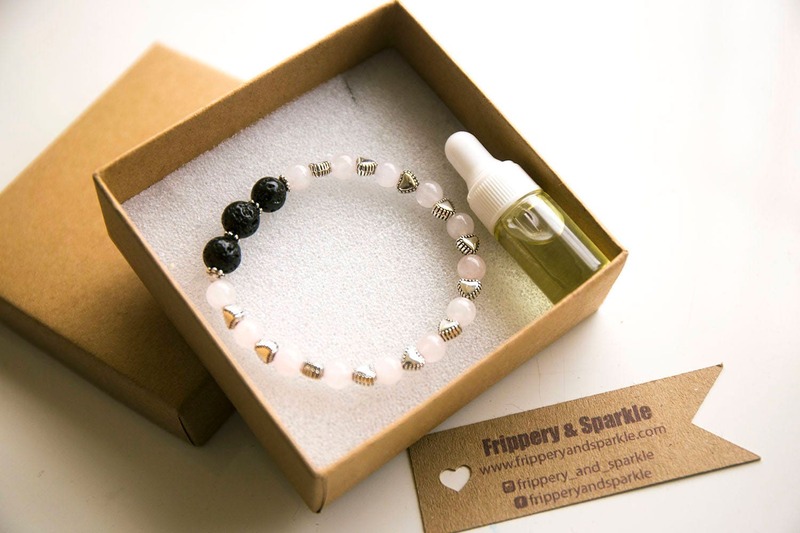 Lava stones are naturally porous and therefore the perfect recipient for essential oils to keep you relaxed or energised (or however else you choose to flavour them) for the rest of the day. 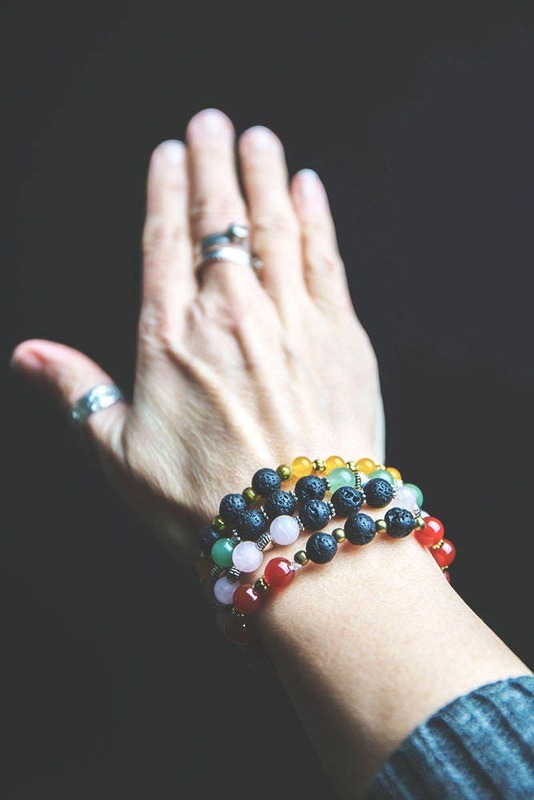 Additionally, Lava Stone is a grounding stone that strengthens your connection to Mother Earth. It gives us strength and courage, allowing us stability through times of change and provides guidance and understanding in situations where we may need to "bounce back". 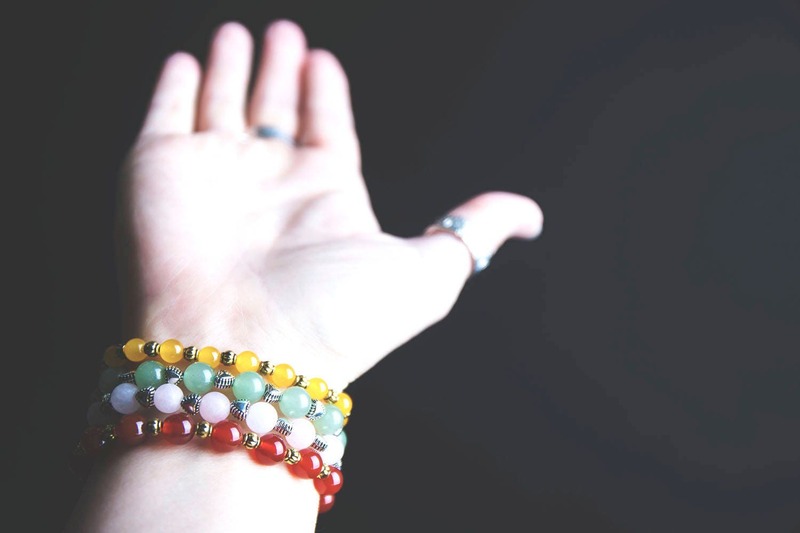 There are three options for the stone in your bracelet: rose quartz, green jade, and yellow jade. Rose Quartz is the stone of universal love, restoring trust and harmony in relationships and encouraging unconditional love. It also purifies and opens the heart at all levels to promote love, self-love, friendship, deep inner healing and feelings of peace. The healing properties of green jade are very useful for emotional healing. The soothing energy from jade relieves irritability while helping to eliminate negativity meaning the personality is stabilized through integration of body and mind. Yellow jade is believed to aid a poor digestion. When used close to the body, Yellow Jade is thought to provide protection from one's enemies and can be used to protect one on long journeys. Also to attract good luck, for wisdom, for long life. Red Agate is a protection stone. 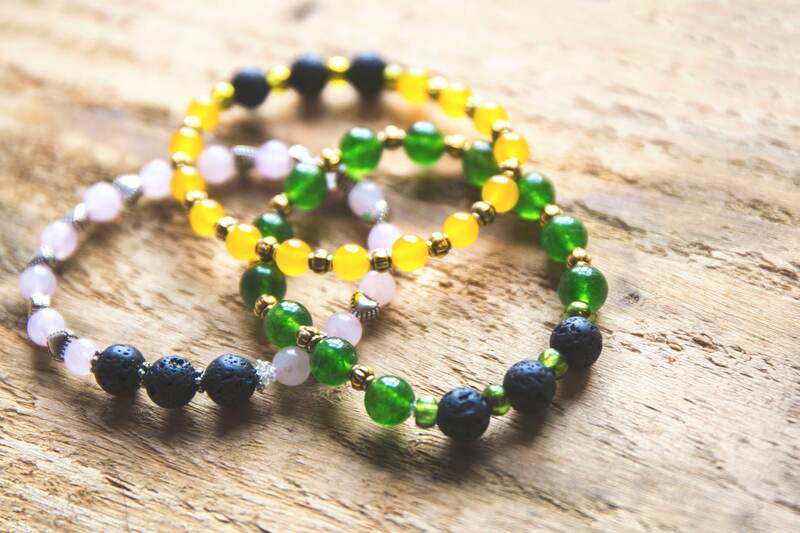 This stone shields the wearer from negative energies and helps get rid of fera and anxiety. This gemstone is very calming; it allows you to stay grounded during stressful or emotional times. Any queries, please do send me a message - I'm happy to help.